Myoporum Thrips are narrow, dark brown to black and are approximately 2 - 2.5 mm in size. State officials are asking Oʻahu residents to be on the look-out for a new invasive species. 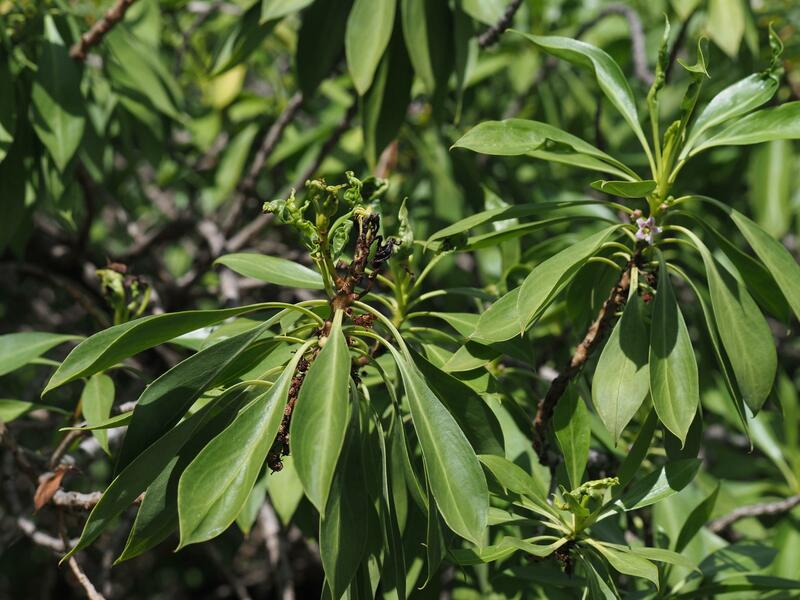 Myoporum thrips are an invasive pest that can kill native naio trees. The insects were first spotted on the grounds of the Bishop Museum last year, and may have spread. Due to an Early Detection and Rapid Response Plan, state officials were able to respond quickly to the new threat. Officials with the state Department of Land and Natural Resources, and the Oʻahu Invasive Species Committee, have surveyed more than 600 naio trees on Oahu. 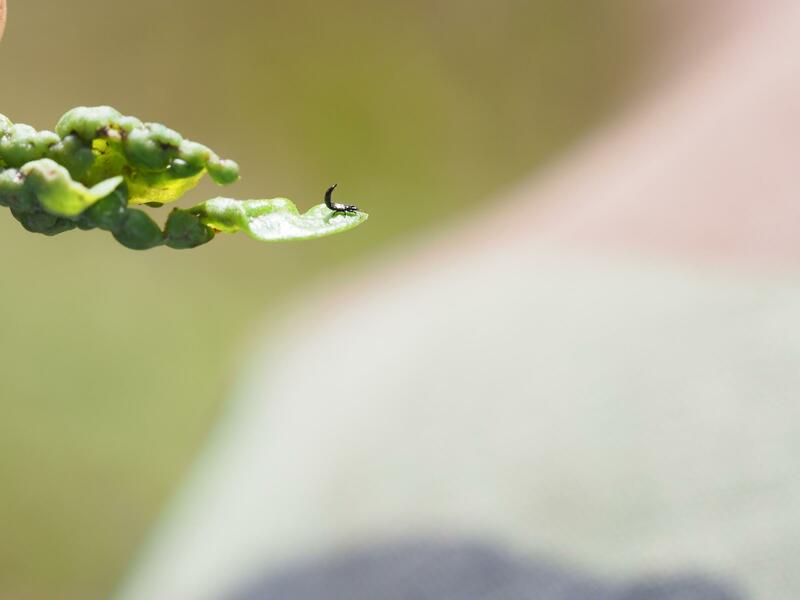 This is the first case of myoporum thrips on Oʻahu – but the insects have devastated naio forests on Hawaii Island. Cynthia King is an Entomologist with the DLNR’s Division of Forestry and Wildlife. Myoporum thrips feed on the juices from the leaves of a tree. Naio Trees will react to the thrips with bumpy or curling leaves. If an infestation becomes worse, branches will die and eventually the plant. She says the goal is to eradicate the insects from Oʻahu, and protect the wild naio. Residents with naio can contact the Oʻahu Invasive Species Committee at 808-286-4616 or email at oisc@hawaii.edu.